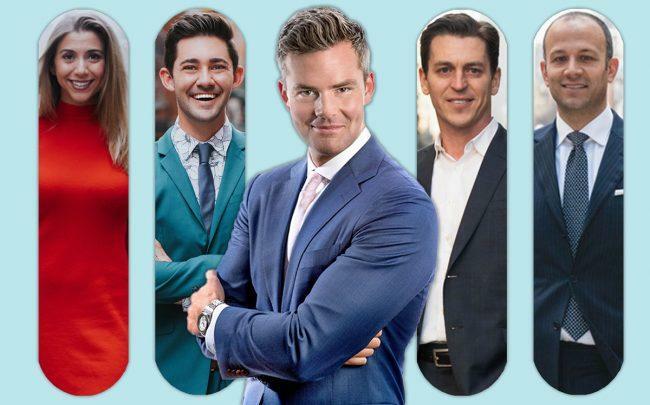 “Million Dollar Listing New York” star Ryan Serhant is expanding his New York team with four new brokers. Nicole Palermo, John Bataille, Scott Fava and Nick Hovsepian have joined the Serhant Team within the last month or so, Serhant said. The new additions bring the team size to 64 brokers. Bataille and Hovsepian both joined the Nest Seekers team from the Corcoran Group. Bataille was at Corcoran since 2012 and worked on 25 new development projects in Brooklyn, according to Nest Seekers. Hovsepian worked on more than 12 new dev projects in Brooklyn — including the sale of the famed triplex penthouse in the clocktower building in Dumbo. At $15 million, it set a new record for condos in the borough in 2017. Fava was previously at Compass, with more than $400 million in deals over 15 years. His deals include representing the buyers of a $12 million sale at 11 North Moore Street and a $9.6 million sale at 20 Greene Street. Palermo joined from Brown Harris Stevens, where she worked with top producer David Kornmeier. The recent expansion comes after Mike Fabbri joined the Serhant Team from Corcoran earlier this year. Fabbri, digital strategist turned agent, has hopped between some of the city’s biggest firms in recent years, including Douglas Elliman (where he was in charge of digital and social media) and Compass (where he helped agents develop their brands). Serhant’s team also has an outpost in Los Angeles, which Serhant previously said was a natural expansion based on the team’s clientele. He said the team also has its sights on Boston and Chicago but isn’t in any rush.